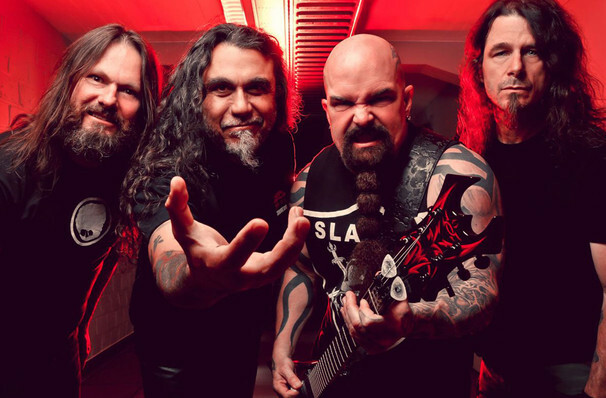 The farewell tour which kicks off this summer will see Slayer sharing the stage with bands they've inspired over the years, including Lamb of God, Behemoth, Anthrax and Testament. The band wishes to thank their fans for all their support over the years, so get ready to head-bang with Slayer for one last time! This is definitely a tour any metal head doesn't want to miss. Sound good to you? 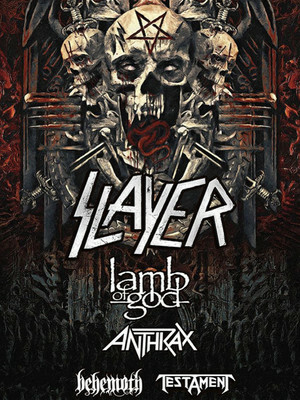 Share this page on social media and let your friends know about Slayer at Shaw Conference Centre. Please note: All prices are listed in US Dollars (USD). The term Shaw Conference Centre and/or Slayer as well as all associated graphics, logos, and/or other trademarks, tradenames or copyrights are the property of the Shaw Conference Centre and/or Slayer and are used herein for factual descriptive purposes only. We are in no way associated with or authorized by the Shaw Conference Centre and/or Slayer and neither that entity nor any of its affiliates have licensed or endorsed us to sell tickets, goods and or services in conjunction with their events.